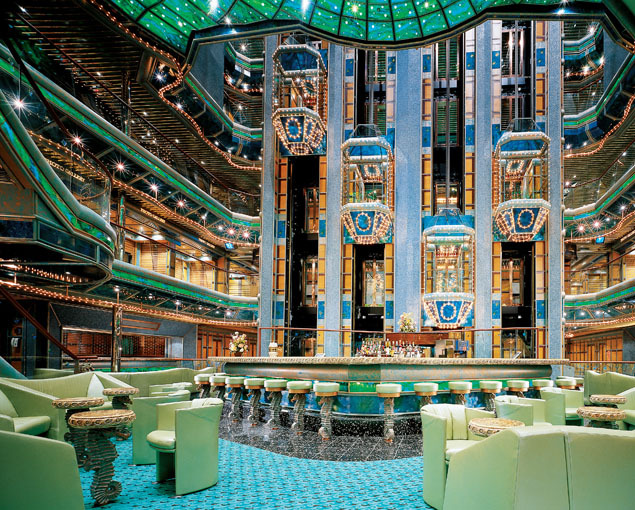 Walk into the 9-story Seven Seas Atrium, and you'll know you're in for a treat on Carnival Victory. 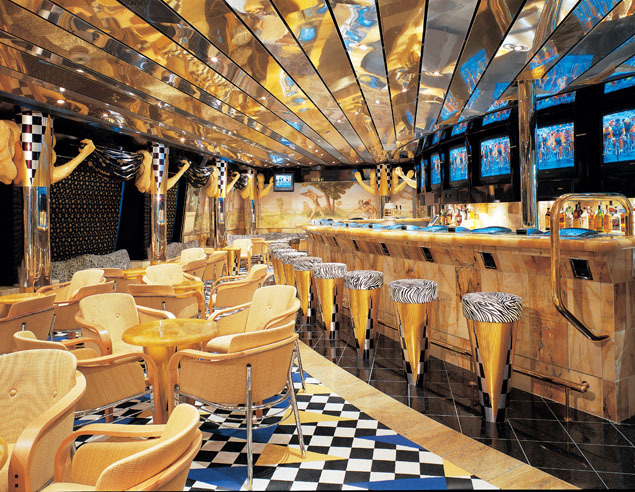 The amazing décor will stun you, as will the food, drink, and the limitless possibilities for fun! With a Seven Seas theme, you'll feel like a pirate or a sailor the whole time you're onboard. The Victory offers mini-golf, amazing live performances and shows, kids' and teens' camps, delicious food, and the most comfortable staterooms you can imagine! Whether you want to just relax and soak in the sun, or party like a rock star, Victory is your home away from home! So book your trip now, and let's begin the best vacation you'll ever have! Carnival Victory has four amazing pool areas, multi-tiered decks, a 9-story atrium, clubs, lounges, bars, and a fully-loaded spa and fitness center! Want to relax and enjoy a good book? Head over to the Indian Library; or, play a board game in the card room. Soak in the sun by one of the four pools and play with your inner child on the 214-foot Spiral water slide! 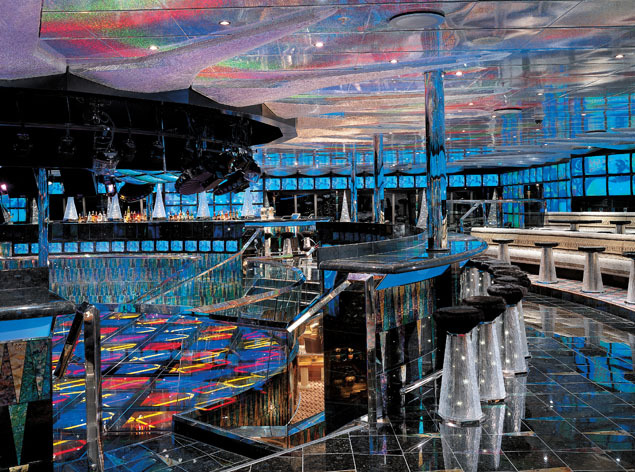 There are seven whirlpools, a full-service Nautica spa, a beauty salon, and on-deck shuffleboard and ping pong! For the kids, take them to Camp Carnival, or to Children's World - the newly expanded kid's area that is a part of the Camp Carnival Program! 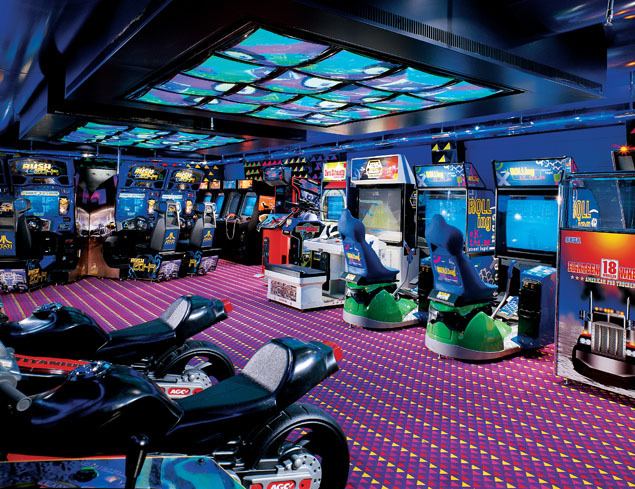 There's the Virtual Sea, an amazing virtual reality arcade, as well as a photo studio and the Victory shops! Finally, take a jog on the jogging track, or pamper yourself at the beauty salon! If food is your thing, check out these dining options: The formal dining rooms on the Victory offer an exquisite culinary experience including fresh lobster and a huge variety of wines, as well as great service! Fascination offers the Supper Club, which is a reservations-only, chic Manhattan-restaurant setting. Offering your favorite menu items from the steakhouse, the Supper Club is guaranteed to please you with every bite. For the more casual diner, there are midnight buffets, a 24-hour pizzeria and even European Cafés so that you can satisfy whatever craving you have! For the youngest members of your family, the kids menu offers all of their favorites including pizza, spaghetti and meatballs, hamburgers, hotdogs, and much more! Looking to have a little fun? Well, if you're the energetic type, get the night started by visiting one (or all) of the lounges and bars, and sample some great drinks! There's the Caribbean Lounge, with its' three levels of traditional theatre seating and live shows! Stop by the Seventh Sea Piano Bar in the main atrium for a live performance, or sample wines at the Caspian Wine Bar. Feeling the luck of the Irish? 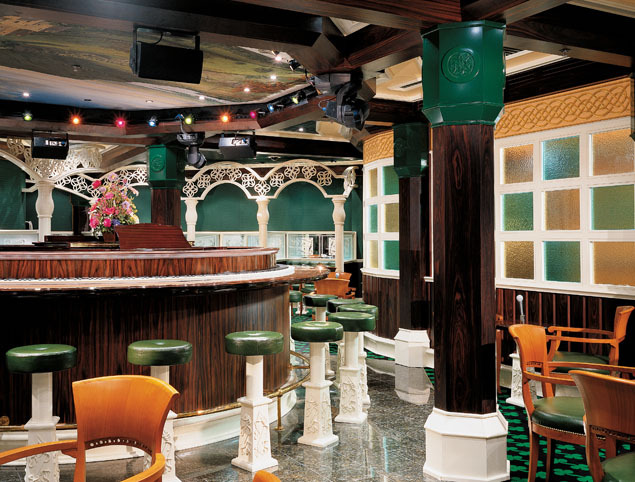 Show off your singing voice at the Irish Sea Bar, where you can sing-a-long to the music! There's also the Adriatic Lounge, the Black and Red Seas, the Sirens' Bar, the Trident Bar, and the Aegean Bar, a sports bar where you can catch your favorite sports teams on large-screen televisions! All of this is located along Neptune's Way, the Promenade that extends for the length of the Victory! If you're feeling lucky, play some cards at the South China Sea Club - a huge casino with a variety of games! Feel like dancing? Begin (or end) the night with your dance shoes on at Club Arctic, the onboard night club! 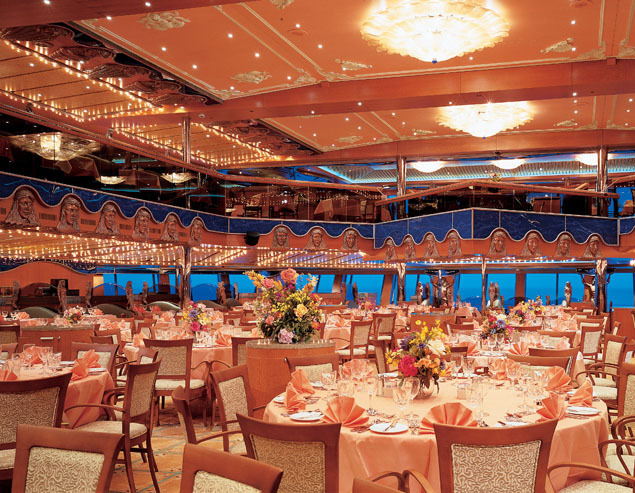 No matter what your tastes, Carnival Victory has every intention of entertaining you!